This blog will be the first of three on musings about the Friday, September 18, 2015 | 7:30pm concert at The Vancouver Playhouse. It is a partnership between Early Music Vancouver and the Pacific Baroque Orchestra. The program will feature the music of Johann Sebastian Bach and Georg Philipp Telemann. The concert will contain the Holy Grail of the baroque trumpet (or any trumpet if you want to argue about this) - Johann Sebastian Bach's Brandenburg Concerto Number 2 for Trumpet, Oboe, Recorder,Violin and Strings BWV 1047. I never noticed but I have been told that the recorder part is a mean piece of difficult work, too. The Number 2 is all about this blogger’s amateur but intense interest in the trumpet since I was a young teenager. I often asked my mother who was the best of the two between Louis Armstrong and Harry James. She was unable to explain to me that this was all about apples and oranges. And I was unable to choose between Armstrong playing St. James Infirmary and James’s signature composition Ciribiribin. My indecision was further compounded when I saw the 1959 film with Danny Kaye The Five Pennies directed by Melville Shevilson. Danny Kaye played on cornet (but it was really Red Nichols someone I had never heard of) an incredible version of the Battle Hymn of the Republic. 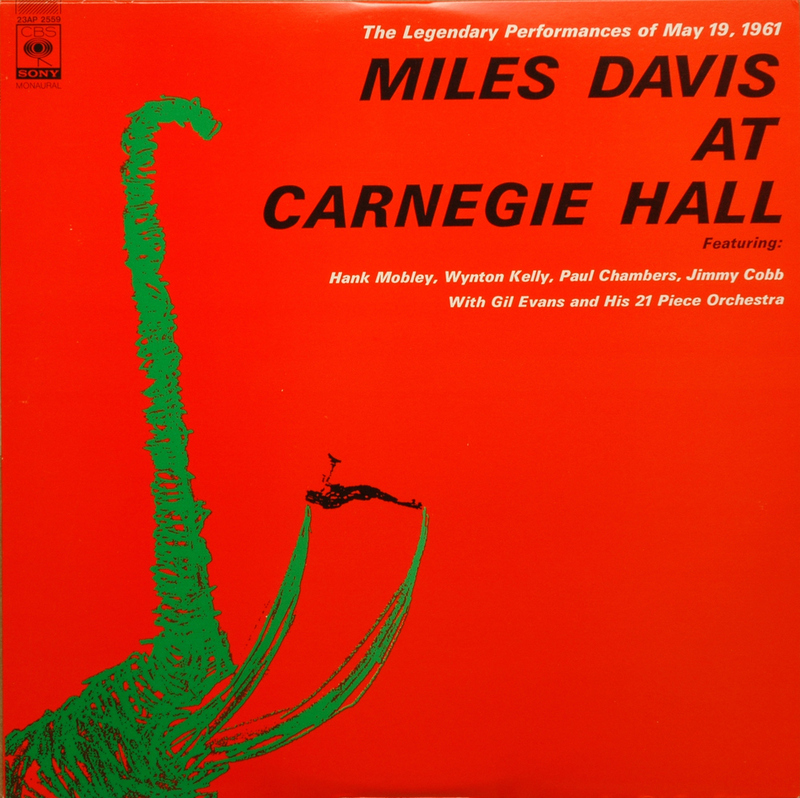 My limited world of the trumpet was severely shaken when in 1961 I bought a bright red Columbia Jazz recording called Miles Davis at Carnegie Hall. The cover featured a green-plant-eating-dinosaur holding a horizontal trumpet player between his little extremities. I had never really listened to a muted trumpet being played close to a microphone (as in Oleo). 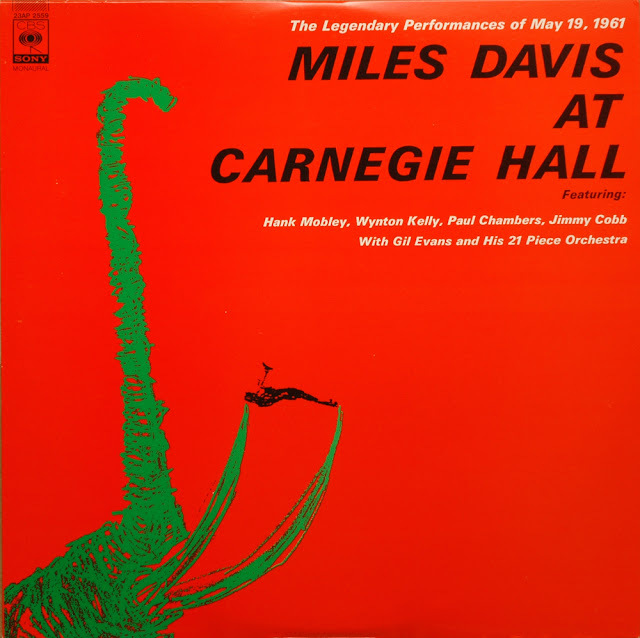 My idea of the type of loud open trumpet of Armstrong and James was suddenly challenged by this moody and subtle playing which suddenly converted the trumpet into an instrument of intimacy. Through the years I have appreciated other jazz trumpet players like Dizzie Gillespie (Con Alma!!!) Clifford Brown, and Art Farmer in that lovely album with Gerry Mulligan called What is There to Say? In fact I prefer Farmer’s version (in the album) of My Funny Valentine to any by Chet Baker. Since I still harboured an interest in the sound of an open trumpet so I pursued baroque composers (mostly Italian) and the famous Haydn Trumpet Concerto in E flat Major. In the early 60s many of the versions of Bach’s Brandenburg Concerto Number 2 did away with the trumpet part and replaced it with a clarinet or oboe. I must reveal that I finally heard that Haydn Trumpet Concerto played by Martin Berinbaum in 1980 at the Orpheum. I was not to know until that date that the Berinbaum I had enjoyed in records in Mexico City was from and lived in Vancouver. But soon enough I discovered Maurice André, Adolf Scherbaum and Martin Berinbaum. These three chaps could manoeuvre around Bach’s Number 2 with aplomb and what seemed like some degree of ease. I must state here that my appreciation of classical music began with my discovery of the trumpet of the baroque. I was soon telling people how I liked Vivaldi, Frescobaldi, Corelli and many more. While in Mexico in the early 70s I managed to hear five of the six Brandenburgs live. I was told that the Number 2 was impossible to play in the high altitude of Mexico City. I was further informed that no Mexicans could really master the classical trumpet because they would invariably sound like a mariachi trumpet. Of this I must corroborate that it might be true. In another blog retired Vancouver virtuoso Martin Berinbaum has told me that he played the Number 2 in Mexico City! Before I left Mexico City for Vancouver in 1975 I had an obsessive interest in one of two of Vivaldi’s surviving Glorias.This was his RV 589. I had a few versions and the faster it was the more I liked it. For a while I thought these Glorias featured at least two trumpets. It was in my attendance of a Pacific Baroque Orchestra concert in 1996 (at Ryerson Church) that featured the Vivaldi Gloria that I noticed that there was only one trumpet and that the other one that sounded like one was Washington State oboist Sand Dalton. I brought along a stop watch for this and I noticed with some satisfaction that my old Turnabout (TVS-34029) Gloria with the Pro Musica Choir and Orchestra – Stuttgart was a lot faster (more fun). But in a valiant attempt at a Vivaldi authenticity (successful in my opinion) the Pacific Baroque Orchestra had an all female choir, The ElektraWomen’s Choir. I have not heard Bach’s Brandenburg Concerto Number 2 played live ever. This is going to change this coming Friday September 17th! The concert which will also contain Telemann’s Concerto for Trumpet, Violin, Cello and Strings in D major TWV53:DS makes me think of someone practicing for a hot dog eating contest by eating many just before! Playing the trumpet will be Seattle’s Kris Kwapis. I have heard her a few times and can declare that there are only two other musicians who come to mind when I listen to her play. One of the was the Vancouver musical group Burney Ensemble’s (alas disbanded some years ago) flute player Sonja Boon. While she played with passion there was an element of control that seemed super human. I would say she never ever played a wrong note. The other such musician is violinist and Musical Director of the Portland Baroque Orchestra, Monica Huggett. And thinking about this idea of passionate perfection I cannot possibly leave out Alexander Weimann, Musical Director of the Pacific Baroque Orchestra and the Seattle Baroque Orchestra. That he is not only an exceptional harpsichordist but also a jazz pianist puts me in a position of going backwards in my jazz routes with him. In her guest blog Kris Kwapis will explain, as well as Martin Berinbaum’s in his guest blog the difficulty in playing the various versions of the trumpets that might be used in a playing of the Number 2. The instrument that I have seen Kwapis play has no valves and it is much longer than the conventional modern trumpet. Kwapis plays that trumpet to perfection. If there is one concert not to miss in what remains of 2015 this one is it. Gerry Mulligan Art Farmer - What is There to Say?